A five year course was provided to those who could afford a secondary education. English, Gaelic, Maths, Latin, Greek, History and Geography were taught. It was for all intents and purposes a classical education with emphasis placed on performance. The school population began to grow and in the 1920’s and it was necessary to build a new extension to the college in the 1930’s. The number of boarders increased and so did the “Day Boys” – those who could go home in the evening after class.The present Recreation Hall was built in 1958 and the Science Block in 1968. A new wing which is called “the New Building” was opened in 1979. Due to the growth of second level schools in the area the number of boarders fell and in 1992 the boarding wing was closed. The College now caters for over 850 pupils from a wide catchment area. The twelfth and final President of the college, born in 1958 in Ballyshannon Co. Donegal, was educated at De La Salle National School and is a former student of St. Eunan’s College. Upon successfully completing his leaving Certificate in 1976, he entered St. Patrick’s College Maynooth as a seminarian for the Raphoe Diocese. He obtained an Arts degree from the NUI and a Theological degree from the Pontifical University. A keen musician, he was college organist and assistant director of the College Choir from 1980-83. He was ordained in 1983 and appointed as Curate to St. Eunan’s Cathedral by the then Bishop of Raphoe, Dr. Seamus Hegarty. Fr. Carney returned to Maynooth College in 1988 and obtained a Higher Diploma in Education. 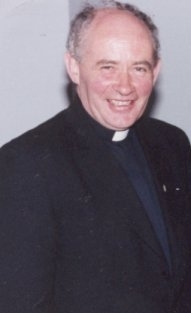 He was appointed to the teaching staff of St. Eunan’s College in 1989/90 where he taught History, Music and Religion. He was appointed President in 1996. Fr. Carney left his position as president at the end of the 2009 school year and he was the last clerical president of the college. He was replaced by the College’s first Principal Mr.Chris Darby. The eleventh president of the college was Rev. Cathal O’Fearrai. Fr. Cathal J.C. OFearrai was born in 1947. He is a native of Derrybeg Gweedore. He completed his secondary education at the local Diocesan secondary school. Ordained in 1973, Fr. OFearrai was appointed to Holy Cross College in Falcarragh. On returning to Maynooth to complete further studies, Fr. OFearrai was appointed Dean at the national seminary. Upon completing his term as Dean, Fr. OFearrai was appointed to the Communications Institute in Dublin in 1980. In 1982, Dr. Seamus Hegarty recalled Fr. OFearrai to the diocese and appointed him to the teaching staff of St Eunans College. In 1988 he was appointed President in succession to Fr. Carr. During his eight-year tenure, the College continued to respond to the changing educational requirements. A new computer laboratory was set up at the college. The creation of an all-weather pitch along with the building of a new front pitch brought much needed improvement to the sports facilities within the school and without the vision and energy of Fr. O’Fearraigh these large and expensive endeavours would not have seen completion. The sanctioning and building of new second level schools throughout the diocese spelt the inevitable death knell of the boarding facilities at St. Eunans. Boarding ceased in 1992. Fr. OFearrai embarked on an extensive refurbishment of the former boarding areas, creating a new library facility and classrooms. Fr. OFearrai was appointed parish priest of Kilabarron parish in 1996. The tenth president of the college was Rev. Daniel Carr. Fr. Daniel Carr was born in Fanad in 1939. He was student of the College prior to his seminary training at Maynooth College from 1958 to 1965. 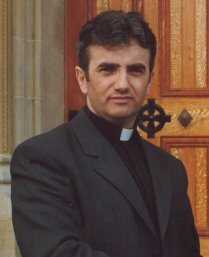 After his ordination he was appointed to the staff of St. Eunans College. He returned to university in 1970 to complete further studies and resumed his post as dean in 1971. Following Fr. Lavertys appointment as Administrator in 1982, Fr. Carr assumed the presidency of the College in January of 1982. During almost seven years at the helm, Fr. Carr was instrumental in continuing the adaptation and refurbishment of the school. There was a gradual decline in the number of boarders, which allowed for the conversion of some of the original boarding facilities into classrooms. Fr. 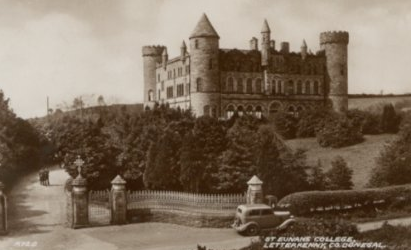 Carr was very intrested in the future development of the college and was suportive of the development of the first computer network of BBC’s in St. Eunan’s whic h were the first in the county. Fr. Carr was appointed parish priest of St. Johnston in 1988 on the retirement of Dr. D.J. Cunnea. On the translation of Bishop Seamus Hegarty, Bishop of Raphoe from 1982-1994, to the See of Derry, Fr. Carr became Apostolic Administrator of the diocese. The new Bishop, Dr. Philip Boyce, upon his episcopal ordination, appointed Fr. 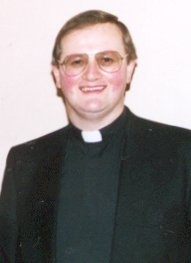 Carr Vicar General of the Diocese. He was subsequently made a domestic prelate with the title of Monsignor. The ninth president of the college was Rev. P. Austin Laverty. A native of Stranorlar, Fr. Laverty was born in 1937. After completing his secondary education at St. Eunans, he entered Maynooth College in 1955 and was ordained for the diocese of Raphoe in 1962. He was at various times dean and bursar of the college before being appointed to the presidency of the school in 1971, the second youngest president in the history of the College. It fell to Fr. Laverty to adapt the school to the immense changes brought about by the introduction of free education in the late 1960s. The school population expanded throughout Fr. Lavertys almost 11 years as president. Changes in curriculae added to the need for change. All of this led to the decision in the mid-1970s to build a new extension to the school – the second major extension to the college in its history. A broadening curriculum called for the provision of rooms for practical subjects as well as those taught at the school since its inception. The new extension begun in 1977 was completed in 1979 and formally inaugurated in 1981 in time for the 75th anniversary of the foundation of the College. Fr. Laverty also turned his attention to the boarding facilities. Condition for the boarding community had remained virtually unchanged since the 1930s. A gradual upgrading of the facilities was begun at this time with the provision of modern conveniences and amenities. Fr. 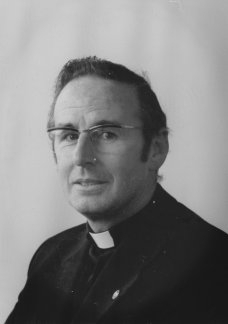 Laverty left the college in January 1982 to take up the post of Administrator of the Cathedral parish. Thereafter he was appointed to the parish of Glenfin in 1985 and is now parish priest of Ardara, a position he has held since 1992. Fr. Laverty was also the captain of the Rannafast Cup winning team, the only A College title captured by St. Eunan’s. The eighth president of the college was Rev. Peter McMahon. Fr. McMahon was born in 1927. He was educated at St. Eunans College and ordained for the diocese of Raphoe in 1952. After completing his post graduate studies, he was appointed to the staff of the College in 1953. He was appointed at various times to the post of dean and bursar. In 1969 he succeeded Dr. Cunnea as president. 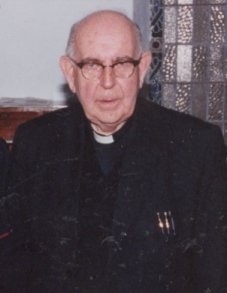 He was appointed Administrator of Glenswilly parish in 1971. He continued to teach Mathematics on the staff of the college until his appointment as parish priest of Tawnawilly in 1981. He was transferred to the parish of Termon in 1982. Fr. Daniel J. Cunnea was born in Croagh, Killaghtee in 1913, the eldest of five children. After secondary education at St. Eunans, he entered Maynooth College in 1931 and was ordained in 1938. He completed his doctorate in 1940 and was assigned to Knockbeg College, Co. Carlow before being appointed to the staff of St. Eunans College in 1942. He taught among other subjects, Science and Mathematics. On Fr. Finnegans death in 1960, Dr. Cunnea was appointed to the presidency of the College in January 1961. He was responsible for the upgrading of the science facilities with the building of two science laboratories and a demonstration room in 1964. Dr. Cunnea was appointed parish priest of St. Johnston in 1969 and retired in 1988. He spent the last two years of his life in Carrigans. He died in August 1990. The sixth president of the college was Rev. Christopher S. Finnegan. Fr. Christopher Finnegan was born in Carrick-on Shannon in 1899, the son of a member of the RIC. While still a boy, the family moved to Dunfanaghy and later to Rathmullan. After his ordination to the priesthood in 1925, he was appointed, on loan to the Archdiocese of Armagh serving in Carlingford. He was with cardinal ODonnell at his death in 1927. He returned to the diocese of Raphoe in1927 where he was to remain for the rest of his life. He was a greatly respected teacher of English. He collaborated with Fr. Arthur McLoone in the staging of the Gilbert & Sullivan operettas over the years. Fr. Finnegan became Vice President of the College in 1944 and ten years later succeeded Fr. McLoone as President. An able administrator, he took great interest in the students of the day. In 1958 the Recreation Hall was built replacing a much smaller edifice. He was a noted preacher and speaker renowned for his polished eloquence and delivery. Fr Finnegan died in December 1960 at the age of 61, the second President of the College to die in office. The fifth president of the college was Rev. Arthur McLoone. Fr. Arthur McLoone was undoubtedly one of the best known clerics of his day. He was born in Glenties in 1898. He was the first past student of the present college to become President. He entered St. Eunans in 1911 and Maynooth College in 1915. He was ordained for the diocese of Raphoe in 1922. His first appointment was to Glenvar and the following February he went to Glenfin before being appointed to the teaching staff in 1924. He was a classical scholar teaching Latin and Greek. He was appointed Dean in 1925 and returned to Maynooth to complete his Higher Diploma in education in 1927. On his return to the College in 1928 he was appointed Bursar, a position he held until 1942. With the appointment of Dr. Daniel J. Furey to the McDevitt Institute, Glenties in 1942 he succeeded to the post of Vice President. 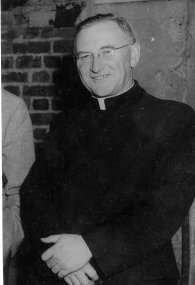 On Canon Patrick Kerrs transfer to Cloghaneely in 1944, Fr. McLoone became President. He promoted the annual opera at the college, particularly the operettas of Gilbert & Sullivan. The interest in opera was born of a deep love of music and a fine singing voice. During his ten year term, the first playing field opposite the College was developed and a new and impressive college chapel was completed in 1952. He was noted for his administrative ability. Fr. McLoone was an urbane, charming and warm individual with an engaging personality. He became parish priest of Killybegs in the summer of 1954. He died suddenly at the celebrations to mark the Golden Jubilee of the College in 1956. The fourth president of the college was Rev Patrick Kerr. Fr. Kerr was the only President of the College to succeed to the Presidency without having been a member of the teaching staff. Fr. Kerr was born in 1890 and ordained in 1914. Fr. Kerr was an army Chaplain along with Fr. William McNeely attached to Irish battalions during the First World War. At the end of the war and after post-graduate studies, he was made a professor of theology in All Hallows College in Dublin. He was a noted Irish scholar combining the literary language with popular idiom in such a way as to make it a lingua franca for people who individually are familiar with one dialect. 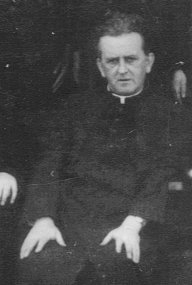 Fr Kerr took up his post as President, with some reluctance, in January 1930. During his long tenure, the new wing of the school was built. Fr. Kerr was transferred to Cloghaneely parish in 1944 after 14 years as President. He died in April 1956 at the age of 65. The third president of the college was Rev. Patrick D. McCaul. Fr. Patrick D. McCaul was born in 1880, and ordained for the diocese of Raphoe in 1904. He was assigned to the college and remained on the staff of the college from 1906 until 1918 when he was appointed to the Cathedral parish. He was recalled to the staff of the college and appointed President, following the death of Fr. Ward in 1919. An orderly and spiritual man, he was greatly regarded by the student of the day as testified by their regret at his leaving the college in 1929. The continued growth of the student body during his tenure gave the provision of an extension to the college, added urgency. While esteemed by his students, he does not appear to have been held in the same way by his clerical colleagues! He was transferred to the parish of Tawnawilly in Dec 1929 and hence to Dungloe where he died in April 1937. The second president of the college was Rev. Michael Ward. Fr. Michael Ward was born in 1877 and ordained at Maynooth College in 1901. He was appointed to the new college at its inception in 1906. He was an energetic and meticulous individual with a keen eye for the details of the system in his charge. He succeeded Dr. Maguire as President in 1910, the youngest man ever to hold the office. Statistics published during the period of his presidency suggest that the College held its own among the Diocesan schools of the northern province by way of success and consistency of achievement. Fr. Ward was president during the first gradual growth in numbers helped by the provision of generous scholarships. Fr. Ward was president for nine years before his untimely death at the age of 41 in July of 1919. The first President of St. Eunan’s College. Fr. Edward Maguire was born in 1854 and ordained in 1879. Fr. Maguire received a doctorate in St. Patricks College, Maynooth and was professor of Classics at his alma mater as well as being an examiner for the Board of Education. The foundation stone of the school, a successor to the Literary Institute- was laid on the feast of St. Eunan, September 23rd 1904. Over the next two years some priests of the diocese were dispersed across the world to collect financial aid for the new college. One priest went as far as Argentina to collect money for the new building rising on Sentry Hill. The College opened under Dr. Maguires care while the workmen were putting the finishing touches to the structure in September 1906. Dr. Maguires tenure was just four years, long enough to get the new educational establishment on its feet. He was transferred in 1910 to the parish of Clondavaddog. He is the author of the history of the Diocese of Raphoe. He died as parish priest of Carrick in July 1927. He was known for his caustic but not unkindly wit.